Hi Folks, Zach the summer intern again! I was lucky enough to find myself on The Wilmington Trolley Tour last week…this informative tour provides a ton of facts about Wilmington history. 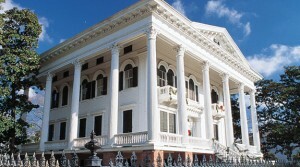 The tour allows visitors and locals to learn a vast overview of the city; exploring the cobble-stoned streets downtown via trolley, which also shed light on the brick alleyways and historic southern mansions. My tour guide, Micheal, readily repeated many historical facts as he directed our attention to various landmarks. He was very enthusiastic and knowledgeable about the area and even had a great sense of humor. Micheal had no problem answering questions or even slowing down or stopping so that the passengers could take pictures. 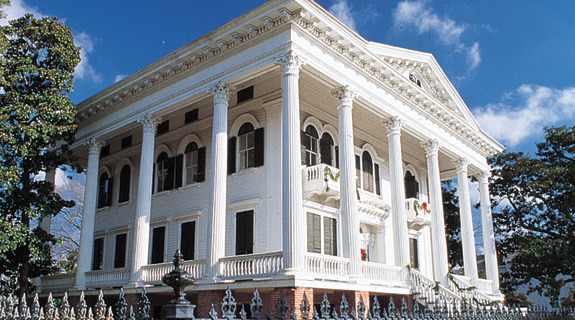 The 8-mile, 45-minute narrated sightseeing tour includes beautiful mansions, haunted homes, museums, birthplaces of famous natives, TV/movie locations, African-American history, brick-laid streets, and much more. 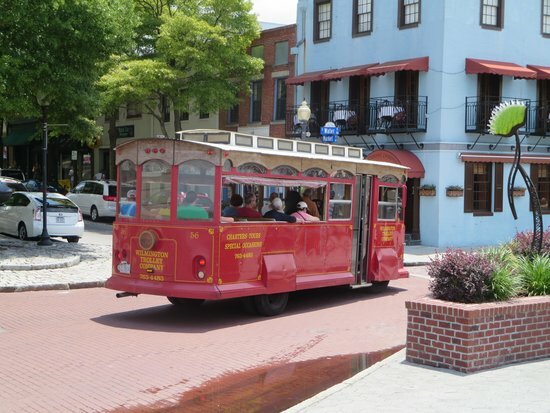 Located on Water Street between Market and Dock Streets, The Wilmington Trolley Company offers a very reasonably priced tour that is available 7 days a week and leaves at the top of the hour from 10am – 4pm. Also children under 12 years old ride free with paying adults which makes it a great way for the whole family to see all that Downtown Wilmington has to offer. No reservations are needed, but be sure to be on time, as it leaves on schedule and can fill up quickly. I had the great pleasure of accompanying Margi, the innkeeper here at C.W. Worth House’s, two nieces visiting from out of town aboard the trolley; it seemed to be the most comfortable and relaxing way to view and learn about the city compared to walking, as it was very hot outside on this summer day. They also offer to arrange private charters to take groups throughout the Cape Fear area. Whether you are downtown or at one of the many beautiful beaches in the surrounding area or even in Southport, NC, the Wilmington Trolley is an ideal way of transportation. They have multiple trolleys, ranging from 25 to 32 passengers on each. Open air and air conditioned trolleys are also available. This can be the perfect way to shuttle your guests around for a wedding or any other social event in style. Overall this is a very fascinating way for anybody to learn about the robust history that Wilmington has to offer. As a local here, and the summer Intern here at the C.W. Worth House, I am constantly learning new things about my city and what it has to offer. 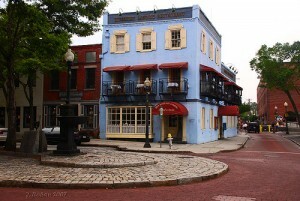 The Wilmington Trolley Company is a safe, fun and exciting to way of doing this. If you are interested in doing a narrated tour or a private charter, all of their contact information can be found here. This entry was posted in Historic Wilmington, wilmington attractions by Margi Erickson. Bookmark the permalink.